Nowadays Python is everywhere – academics, data science, machine learning, enterprise application, web application, scripting you name it python is everywhere. Whatever you do, python is there to help you or give you a headache. Let us say, you have learnt python programming and ready to use to develop applications that wow your future employers and make your future glorious. Surely, as that is great, you jump into coding python scrips and eventually start installing python packages. From there one follows a dangerous path into developer’s nightmare. Package installation may lead to having incompatibility issues or make other application unworkable. And you may discover that your code does not work on some machines, while your code just works flawlessly on your local machine. Even though it gives a classic excuse for not writing good code, we, as developers, should make sure our code works everywhere. So what is a problem here? 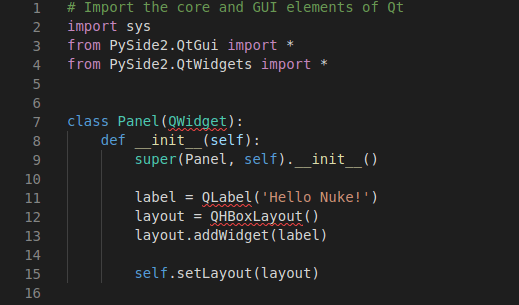 Python environment. So, not to have a daily nightmare about incompatibility issues, individual python environment needs to be created for a project. A virtual environment is a bunch of scripts and directories that can run python isolated. By using a virtual environment, each python projects can have its own dependencies regardless of other project and system python environment. Here I will write about how to create and use virtual environment in python2 and python3. I will use virualenv for python2 and venv, virtualenvwrapper, and conda for python3. 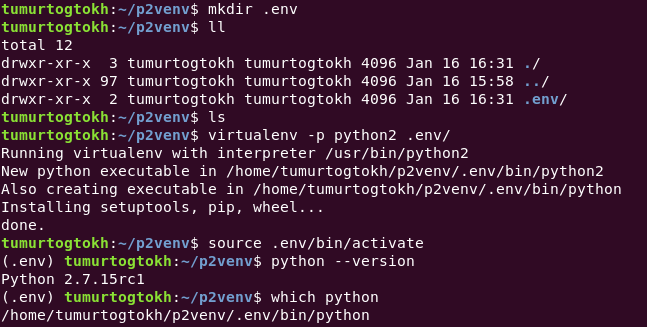 Starting with python2, you need to install virtualenv package. Obviously, we can create a python3 virtual environment by –python=python3 assuming you have python3 installed on your machine. This command creates an isolated virtual environment as same as a given python path. Instead of using python2 and python3, we can give a direct path. Everything else is same. What we have done is that we created a fresh python environment and copied dependencies to a specified directory. There we can install any packages without affecting other environment and local python by activating this environment. That is an absolute breeze. However, we do not want to push it git repository but we do need to have a way of knowing required dependencies since some of us work on a project from different machines. I, for one, work from three different machines with windows and linux system. Now we are in a very convenient position where we can work on a python project with any machines in any os. But what is the .env on my terminal and what about the occupied disk space of virtual environment? Obviously, those virtual environment files are necessary. However, when you have a number of completed python project and you want to release some spaces for some reason, would you check each projects and delete those files manually? Or wouldn’t it be easier if all virtual environment files are in one directory? And .env is a directory name where virtual environment is created. Ok, cool. But wouldn’t it be more convenient to see an actual python project name when the virtual environment is being used? And activate it and use it. Also, virtualenvwrapper provides a few useful shell functions. One of those is workon. See, it makes life easier. To see a complete guide, visit this page. Because it saves all files of every virtual environment created, it is easy to delete those if need to. And seeing the project name on terminal is pretty cool actually. That is it for creating and managing virtual environments using pip. Conda stores all environment names inside environment.txt in home directory/.conda folder. A content of it is same as conda info –envs command. On the other hand, all executables and packages are stored inside anaconda installation directory/envs folder. It is useful to know it since anaconda stores GBs of files (unbelievable, right?). You can confirm it by conda list command. I know it prints a tremendous amount of packages. For love of the god, I hope conda does use all of them effectively. To distribute our project, we need to save dependencies information. Calling conda env export shows you all required information to save. We need to copy and paste it into requirement.yml (for ubuntu, simply run conda env export > environment.yml). So that is it. Now I hope it becomes easier to manage python virtual environment. From here, we can write our application with ease and eventually package it and distribute it. That is another story to tell some other time.